Unit Plan Sizes: 445-1,399 sq. ft. Located just minutes from Arizona State University, shopping and dining, and directly adjacent to Tempe’s light rail line, University Village 2.0 replaces an aging existing student housing project called University Village. 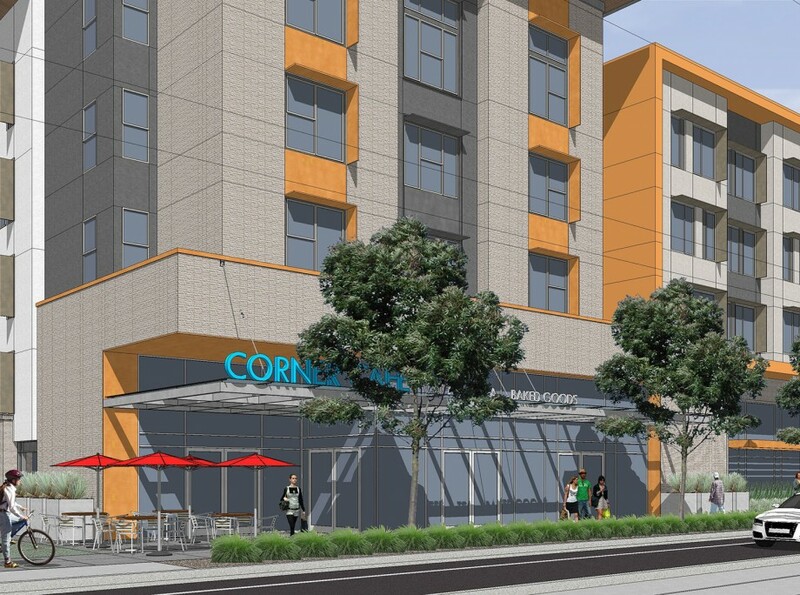 The new 5-story mixed-use residential community targets students and features 775 beds in 260 units ranging in size from 445 – 1,399 square feet with 1,800 square feet of ground-floor retail to activate the street. Some of the community’s amenities include a resort-style pool, state-of-the-art fitness center, clubroom with lounge and study rooms. The Type III construction wrap building sits on a challenging and irregular 4.58 acre site and fills a void in the urban context. The architecture is contemporary with simple forms and clean lines. The color and material palette is cool with feature shading devices to address the heat of its desert environment. The building was constructed using sustainable building methods and incorporates a number of green features designed to ensure the community’s long-term energy-efficiency and sustainability..